Peter Noonan is Professor of Tertiary Education Policy in the Mitchell Institute and Professorial Fellow at the Centre for Research on International Education Systems at Victoria University in Melbourne. Peter is also an Honorary Senior Fellow in the Graduate School of Education at The University of Melbourne in the LH Martin Institute for Tertiary Education Leadership. 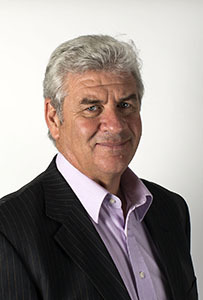 Peter has played a major role in shaping policy in Higher Education and Vocational Education and Training Australia for over 25 years as a researcher, senior public servant, consultant, and adviser to national and state governments. His current research work is focused on tertiary education funding including analysis of proposals for fee deregulation, the opening up of higher education funding to private higher education institutions, options for reform of Australia’s Income Contingent Loans system and the development of a more coherent tertiary education system in Australia across the higher education and VET sectors. Peter has extensive international experience having undertaken major in country projects in Singapore, Saudi Arabia, Abu Dhabi, China, Namibia and Papua New Guinea and as an invited speaker and member of bilateral delegations in India, Hong Kong, Japan, Brazil, Korea, the USA and England. In 2014 he facilitated the Victorian – Latin American Education Symposium in Melbourne. He was an invited speaker at the 2009 and 2015 Universities Australia conferences.